BERLIN -- Volkswagen Group's plan to cut costs by creating a new parts business could unlock funds for its move to electric vehicles and herald an eventual spin-off that could transform its profitability, analysts said. Shackled by its powerful labor unions, VW makes parts, such as transmissions, in-house at high German wage costs, weighing down the core brand's profitability. VW said on Wednesday it plans to bring together the manufacturing of parts, including engines and transmissions at 56 plants on five continents with a total of 80,000 staff. VW has been reviewing its assets and brands since announcing its electric-car plans in June 2016, and put up non-automotive assets for sale earlier this year, including motorcycle brand Ducati. "The (components) realignment shows that structural change is happening at last," said Ferdinand Dudenhoeffer, head of the Center of Automotive Research at the University of Duisburg-Essen. VW said the plan, outlined last year, was approved by its top executive board this summer. The company said it wants to integrate its components operations under a unified structure. The new entity "will bundle these activities, organize them even more efficiently, strengthen in-house competences in specific areas, and drive forward the transition to electric cars throughout the group," VW said in a statement. One source at VW said the group may also reassign responsibilities in components manufacturing as part of the changes, but ruled out any capacity cuts. At present, Audi, Porsche and Skoda all make engines and chassis parts at their own sites. "This could be the first meaningful step towards clarifying the profitability of VW's supplier activities as well as a spin-off of the business," Dudenhoeffer said. "It could be a boon to VW's profitability though details remain to be seen," he said. Carmakers in general are under pressure from investors to be more transparent about profitability and the growth prospects of specific operations as conventional auto manufacturers venture into new mobility services and electric cars. Bringing together the tasks of components plants such as Salzgitter and Kassel would also affect the carmaker's zero-emissions push as VW plans to build electric engines at the two German sites. 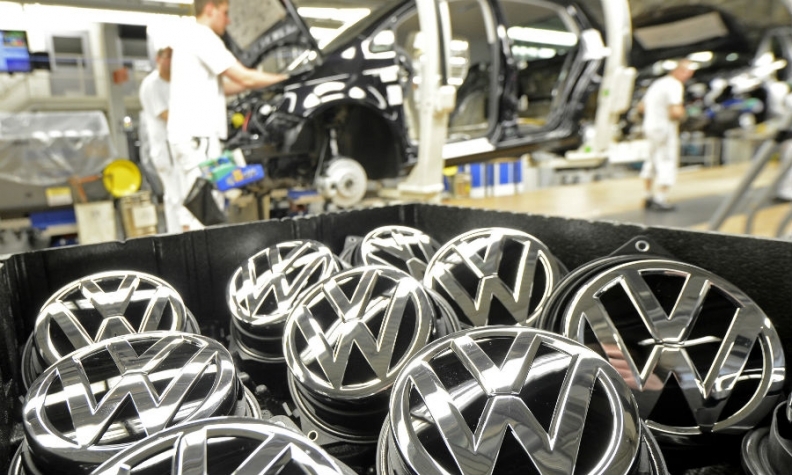 Exposing the financial performance of these plants would enable VW to streamline resources internally to help meet the growing funding needs tied to its electric-car program, London-based J.P. Morgan analyst Jose Asumendi said in a note published on Wednesday. "We believe this is a key game changer for the VW equity story," Asumendi said, adding the move entails a growing likelihood that VW will spin off or streamline component businesses in the medium term. VW declined comment while a second source at the carmaker denied any plans to spin off or sell components activities.